Similar to the one exemplified, the unusual structure “with its higgledy-piggledy walls and turf roof”, of the home of Sculptor Charlie Hague and his wife Megan Williams has been likened to that of a ‘hobbit’. 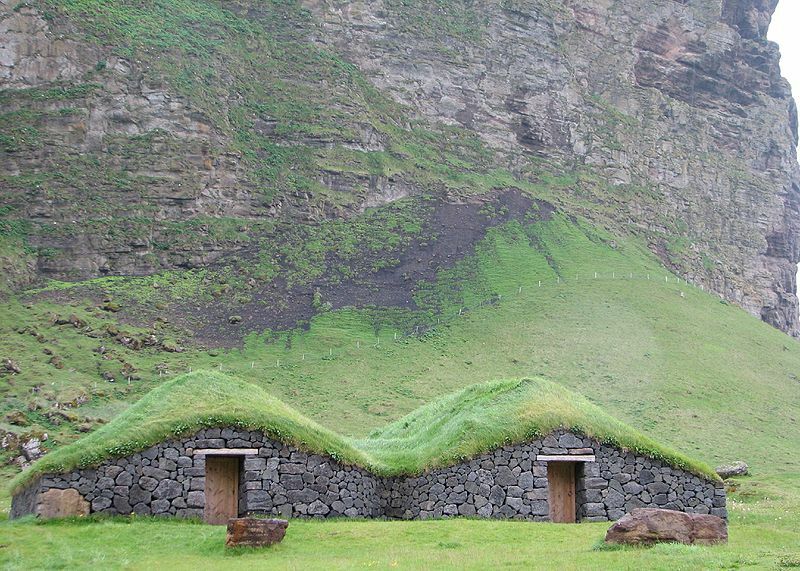 Yet, this eco-dwelling in rural Pembrokeshire could become a test of the Welsh Government’s grand designs on sustainable living. The couple spent nearly a year creating their wooden roundhouse on private family land in Glandwr. The single level dwelling was constructed using lime plastered straw bale walls, cost £15,000 to build and was completed just in time for the couple’s first child allowing them to move out of the damp caravan where they had lived for the previous four years. Tensions surrounding the state of the current British economy and its high house prices are reflected in the couple’s claim that it was the only way they could afford to own their own home. The roundhouse seemed a suitable, and sustainable solution, and even earned plaudits from environment architects across the world. The artist uses sustainably sourced wood from his own land to make his work. The couple applied for retrospective planning permission. But the council says that the house is “not essential to provide accommodation for an agricultural or forestry worker”. Ms Williams, 25, said they are devastated at the prospect of pulling it down and have begun a Facebook campaign to save their home. “I know it’s not a possibility for everyone, and our situation here is unique, but if young people are to live and work in the area they need somewhere to live,” she said. Opponents say it is vital to enforce planning permission rules across Wales to prevent a repeat of what happened in Ireland were unregulated bungalow building before the financial crash saw the landscape scarred by development. The link between geography and planning has not always been assumed. However, in their 2008 paper, Nicholas Phelps and Mark Tewdwr-Jones specifically consider this relationship. More than identifying sharing commonalities, the paper notes what the two disciplines can learn from each other – that planning can learn something of the art of the analytical from geography and that geographical perspectives can lend analytical insight to planning thought and practice. Such a call is answered by Phil Allmendinger and Graham Haughton in their 2012 Transactions of the Institute of British Geographers paper. This paper argues that spatial planning in England needs to be analysed as a form of neoliberal spatial governance, underpinned by a variety of post-politics that has sought to replace antagonism and agonism with consensus. They outline that “the outcomes of this process are not neutral: there are winners and losers. One of the consequent roles of planning is to acknowledge and address some of the power inequalities in society to ensure that a general ‘public interest’ is taken into account in this mediation between different and competing interests” (2012, 89). They maintain that conflict has not been removed from planning, but it is instead more carefully choreographed and in some cases displaced or otherwise residualised. This leaves room for a more thorough discussion from geographers surrounding the relationship between planning and other concepts such as governmentality, public engagement and new local politics. For the Pembrokeshire roundhouse, the future is uncertain. The retrospective planning application is currently under consideration by the local council. Certainly, whether its material presence remains, its legacy will extend much further – demonstrating a need for heightened attention to the relationship between geography, planning and political activities at different scales. Jonathan Brown, Earmarked for demolition: eco-home which doesn’t have ‘rural character’, The Independent, 25 March 2013. Phil Allmendinger and Graham Haughton, 2012, Post-political spatial planning in England: a crisis of consensus?, Transactions of the Institute of British Geographers, 37 1, pp 89-103. 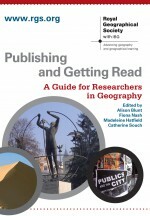 Nicholas A Phelps and Mark Tewdwr-Jones, 2008, If geography is anything, maybe it’s planning’s alter ego? Reflections on policy relevance in two disciplines concerned with place and space, Transactions of the Institute of British Geographers, 33 4, pp 566-584. This entry was posted in Transactions of the Institute of British Geographers and tagged facebook campaign, Graham Haughton, grass-roots activism, Mark Tewdwr-Jones, Nicholas A Phelps, Pembrokeshire Eco home, Phil Allmendinger, post-political, spatial planning on May 6, 2013 by Jen Turner. This is incredibly unfair. Agreed that the couple should have sought building planning permission prior to deveopment, however it is so unique and blends so well with the landscape, should it meet all the required specifications in a post planning application I think it would be unjust to make them pull it down. Good luck to them.